Dad would always buy egg-creams at the candy store. My Aunt used 7-Up instead of seltzer.....it tasted better I thought ! 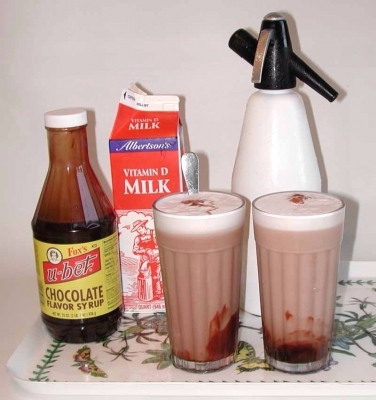 Does anyone remember having an egg cream with a pretzel?